Large Coffee With Four Cremes – Procaffinating at it's finest! Posted on July 28, 2018 July 28, 2018 Categories Open EducationTags domain of one's own, OntarioExtendLeave a comment on We’ve Moved! On Friday, July 13, 2018, I participated in my first slow twitter chat with Higher Education Digital Identity (a.k.a. #HEdigID) Chat. Once a month, on the second Friday, the assigned host, in this case @SuzanKoseoglu, posts 6 questions and the conversation usually continues over 24 hours. A transcript of the first 24 hours is collected and posted. I experienced my first slow chat and my first twitter storm. A slow chat, unlike twitter chats that are scheduled over a one hour period, is a chat aimed at a larger population, across time zones or where internet connections are spotty. A slow chat can can last 8 to 24 hours. A twitter storm is a sudden surge in a topic or around a twitter thread where you receive notification of every addition and every like or retweet. The conversation did not end after 24 hours, it continued through the weekend and into the next week in part because of lurking. This aspect, the idea that people listen in but don’t contribute – in twitter chats, online discussions, forums, online courses, MOOCs and more sparked both debate and analysis. I found it fascinating to hear perspectives from around the world and from different viewpoints as HE professionals discussed their thoughts as both leaders and users of discussions and courses. I am a lurker. I lurked in the #HEdigid chat, for the most part. I contributed 9 tweets. It was my first slow chat. I wasn’t sure what to expect or what I might have to offer. Maybe next time, I will add more. Maybe not. In this round, it was connecting to the discussion that was valuable to me. Let’s just say, I was applying the Educational Theory of Apprenticeship to slow twitter chats. I posted something to be a part of the conversation and then sat back and learned from others on both the topic and the manner in which they participated in the discourse. Curiosity. Respectful questions for clarity and understanding are welcome. Sharing resources. Does the discussion remind you of your own work or someone elses? Share it. Building on others comments. “Yes and” thoughts make for a fuller discussion. Agreement. Your comment can simply to agree. Make it personal. Your antidote regarding your approach, your thinking and your lived experience has value. Compliments. Building up others is good. Feel free to mute the twitter storm. The conversation does not have to stop. I have a love/hate relationship with PowerPoint (PP). I see value in the medium but I struggle to find effective ways to use it. #Oext234 asks Ontario Extenders to consider PresentationZen and to pick one of the 11 recommendations to improve presentations. I am choosing (5) Remove the nonessential and adding photos instead of text. Please understand, this is an exercise for the Daily Extend. I am not suggesting that the new presentation is really much better than the old one but it is a start and this also gives me a change to explore more Creative Commons photos and a new tool. Sometimes, I have used PP to act as a guide for me; a way of keeping me on track and reminding me of what comes next. I have basically turned them into great big visual presentation cue cards. Whenever I do this, it reminds me of my very first presentation competition in grade school on Carpenter Ants. I used this approach when preparing to be filmed for an Orientation video based on a transition to college culture workshop that I have done in-class. In this case, the slides were not shown to the participants, they were only for me. Here is a short clip from my practice video where I created a voice over for the slides I had prepared. The final video, edited by St. Clair College’s Audio/Visual department, is at this end of this post. Today’s Daily Extend Challenge: merge two photos! On finding a tribe of one’s own. A reflection on To Take Charge of Your Career, Start by Building Your Tribe by Gianpiero Petriglieri posted April 05, 2018 to the Harvard Business Review and my own experiences with Ontario Extend. I was led to this article during my morning scan of twitter. I wish I could tell who shared it, but the twitter tide has swept that away. I am also going to do something in this post that I caution my students against; I am going to heavily quote from the original article. I generally encourage students to put the ideas they find in a literature review into their own words, but in this case, I don’t believe I can do it better and I want to relate what reading those works evoked in my mind about my experiences with Ontario Extend. I joined Ontario Extend as a personal professional development project as St. Clair College, my work home, encourages faculty to pursue PD during May and June. Unfortunately, most of the available PD outside of the Faculty Retreat just doesn’t speak to me. My colleague, Marko Jovanovic often describes me as “paying a game of 3-D chess in my head” apparently against myself or maybe against the man (shakes fist in the air) because I want to think about and debate crazy ideas and connections that occur to me that are simply not on others’ radar. This often leaves me feeling out of step and, frankly, lonely. I was expecting to find it interesting and challenging. I did not expect to find it affirming. I did not expect to find my people, my tribe. “We can only become the person whose story we can keep telling and acting out in the world” (Petriglieri, 2018). Here, I am going to digress a bit and bring in Maslow’s Hierarchy of Needs. I don’t go to work to fulfill my social or self-esteem needs. I take care of these at home with a circle of close friends and family. I have no patience for small talk. It’s not that I don’t care what you did on the weekend or that you found a great deal on _______________ (fill in the blank), it is just there is this important stuff going on, there is a big semester clock ticking in my head and time for our students is running out and I want to talk about work first. At work, I am working out my self-actualization needs. I am working on becoming my authentic self and developing mastery in my work. “Most useful and precious among our illusions, my research suggests, is the illusion of one’s self as masterful — able to endure adversity, experience freedom, and be of service to others” (Petriglieri, 2018). Adversity, freedom and service, now that is powerful stuff. Reminds me of parents’ teaching and the dutch work ethic I was raised with. I go to work, not just show up in the building. I put up with the crap (and as my mom would say, there is crap in every job, except she would never use the word crap) so that I can have the freedom to take care of me and mine so that I have the ability to help others. If mastery is the feeling that I got this, then most of the time I am there but…. there is some self-doubt and again, loneliness. “Instead of demanding conformity in exchange for safety, such communities keep our working lives exciting and us stable, ultimately helping us master our working lives” (Petriglieri, 2018). Are you ready for some Ontario Extend stuff? In Ontario Extend, I have found a community and an experience that is both dynamic and supportive. If you read any of the recent post in this blog, you will already know that I struggled fiercely with the Scholar module. But my Extend West community was there offering clarity, ideas, and support. On twitter and through the weekly lunch meetings, I received new angles to consider and a very strong message that not only am I determined and on fire, I am capable. Petirglieri’s article is all about tribes and their value. But not all tribes are created equally. Some tribes demand conformity that stifles growth. Good tribes inspire mastery. This is Ontario Extend. It is like the perfect elevator pitch for why you should become an extender! 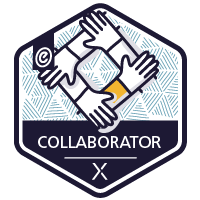 The Collaborator module shows us how to become part of the community and encourages us to both give and receive in our Personal Learning Network. The Domain of One’s Own/Blogging/Extend Activities provides opportunity to gently enter the practice of working out-loud and sharing our real selves. 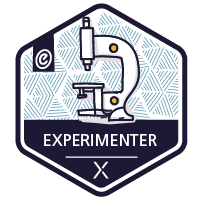 The Experimenter module and Daily Extends invites us to play, to try, to create and Technologist module takes us through a process of how we can extend these principles to our practice for the betterment of student learning. The Teaching for Learning module allows us to explore our identity. 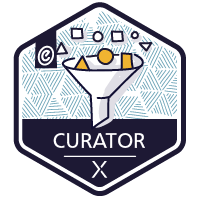 The Curator module helps us realize that we are already curators and that our discernment adds value. The Scholar modules gives us a path to developing new competences and to using real data to improve our practice. And new directions?? How about open learning, Open Education Resources, Creative Commons, students as collaborators and co-creators, authentic assessment, Universal Design for Learning, accessibility and more tech tools than you knew existed! It is truly a work changing experience, if you let it be. And that is the key. “Hard as you might look, my work suggests, you cannot find such communities. You must build them yourself” (Petriglieri, 2018). Well, in the case of Ontario Extend, you can find such a community but you have to make it real. There is an amazing group of educators in the extend community – electic, passionate, inquisitive, supportive, expressive, brave, and most of all, open. But to really benefit from the community, you need to embrace the tribe. You have to become an extender – to expand your thinking, to increase your risk-taking, to enlarge your circle of colleagues, to stretch your comfort zone, to reach your hand to accept the offered friendship and to grasp the hand of the next person seeking support. Ontario Extend built the first four houses on the block but it is up to us to keep building the community. “And yet we need those open communities, those peculiar tribes. Without them, it would be impossible to remember who we are and to imagine who we might become” (Petriglieri, 2018). Through out the past 10 weeks of my extending adventure, I have been reminded of where I have been and I have drawn on past experiences, I have been able to better define where I am now and I can see new paths to explore. I remember who I am as an educator and I am excited about who I can yet become as an educator. And best of all, I am not alone. Posted on July 7, 2018 Categories ReflectionTags Community, OntarioExtend, professional development1 Comment on On finding a tribe of one’s own. A million years ago, or 20 years ago that feels like a million, I quit my day job and joined a computer consulting company as an associate. I loved working with the principle partner, Rick, The more challenging the project, the calmer he became. I learned that you can’t think through thorny problems or multiple steps if you are pissed off. Back then, you could still build and modify computers and if you didn’t know something, like html, you just taught yourself. At that time, I was quite the QuickBooks expert. I was beta testing and creating curriculum for Intuit Canada. I was teaching two levels of QuickBooks for St. Clair College through Continuing Education. So supporting our clients in adopting Quickbooks was my main role but I also repaired and modified computers, did a lot of printer troubleshooting and learned to code websites. Funny that, you never actually forget the basics of code. 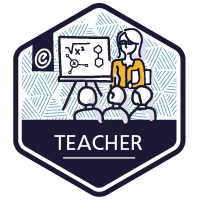 I whipped out my coding skills this year to make BlackBoard do some things I wanted it to do including adding CSS to improve the visuals and layout. I had to adjust my old way of doing things to the new HTML 5 standards but that wasn’t as tough as it sounds. Posted on July 2, 2018 July 2, 2018 Categories Daily ExtendTags humour, Online Services, TechnologyLeave a comment on Look Mom! I’m coding!